Sir Alex Ferguson has confirmed that Michael Owen will not be playing any part in the champions league match against Valencia. While talking about the importance of Owen in the team, Ferguson said that while the striker’s ability cannot be questioned, there is no chance of playing him in the next match due to his current condition. Sir Alex Ferguson has revealed a major injury concern ahead of the Villa clash by ruling out Michael Owen. Wayne Rooney, Rafael Da Silva, Owen Hargreaves, Michael Owen and Anderson are all unfit, while Patrice Evra is a major doubt after coming off with a knock in the Manchester derby. With Paul Scholes suspended after picking up a fifth booking of the season at City and Antonio Valencia out long-term with a broken ankle, Fergie has personnel problems ahead of the Villa Park clash. 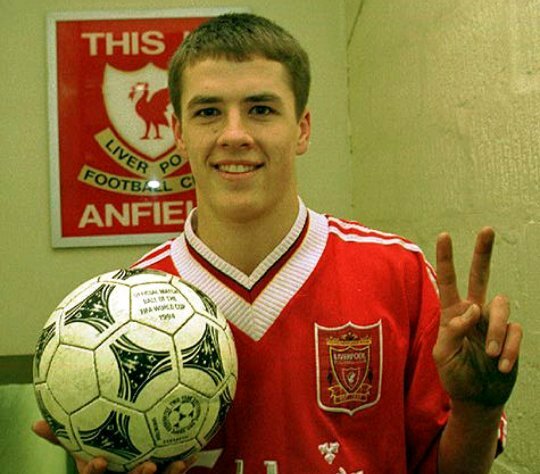 Michael Owen is being mentioned as Gerard Houllier's first signing for Aston Villa by the News of the World. The report claims the ex-Liverpool boss was impressed with the striker's form and fitness after watching him play in Jamie Carragher's testiomonial match at Anfield. Owen flourished under Houllier during his time at Liverpool, and was even named European Player of the Year in 2001 after firing the club to a historic treble winning season. Jamie Carragher has insisted that Michael Owen deserves to be given a warm reception when he dons a Liverpool shirt today. The Manchester United striker will be playing up front for a Liverpool XI in Jamie Carragher's testimonial match. Carragher also tried but filed to get Cristiano Ronaldo to play. Having been an Anfield favourite for many years Owen upset a number of Reds supporters when he signed for arch-rivals Manchester United. Manchester United striker Michael Owen is determined to resume his England career. Owen, 30, has rarely figured on Fabio Capello's radar since he became national team manager three years ago. The former Newcastle and Liverpool star last appeared for England in March 2008, three months after the Italian took charge. Owen, however, still believes he has something to offer, now he has shaken off a groin injury. Sir Alex Ferguson has assured striker Michael Owen that he remains an important part of Manchester United's squad. Owen started United's 3-1 Community Shield success over Chelsea, but did not feature in their Premier League season-opening victory over Newcastle United. The former Newcastle, Real Madrid and Liverpool ace, who started just five league games last time around, is now into the final season of his two-year contract at Old Trafford. Chris Smalling has revealed Manchester United summer signing Javier Hernandez has been sticking close to Michael Owen. Smalling has revealed that England international Owen has been giving the 22-year-old tips on how to leave Premier League defenders with twisted blood. "When we were on our pre-season tour the strikers spent a lot of time working together and were bouncing ideas off each other," said Smalling, a £10m summer signing from Fulham. England striker Michael Owen cast his eye over a selection of future international hopefuls as Loughborough Dynamo and Hinckley United Juniors both enjoyed a dream day out at Wembley Stadium. The Loughborough Dynamo and Hinckley United under-10 teams joined more than 700 children from across the country at the annual McDonald's National Football Festival as 55 Charter Standard grass-roots clubs were invited to strut their stuff at England's HQ. Read more about Owen turns Scout!